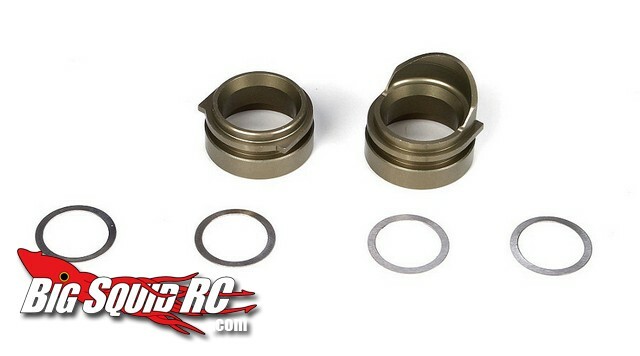 TLR Aluminum Rear Bearing Inserts « Big Squid RC – RC Car and Truck News, Reviews, Videos, and More! If you’ve been looking to bomb-proof your Losi 810, Ten-T, Ten-SCT, or Ten-SCTE the guys over at Team Losi Racing have come up with new aluminum rear gearbox bearing inserts for you. This new TLR part more accurately holds the rear bearings keeping better alignment between your ring and pinion gears. The part number is #TLR3100, street price is $20, and they are available right now. Hit THIS link for more information. Looking for more Losi news here on BigSquidRC? HERE is the link you want.